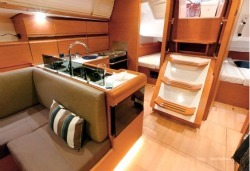 Two double aft cabins plus double in forepeak, galley to sarboard, WC to port. 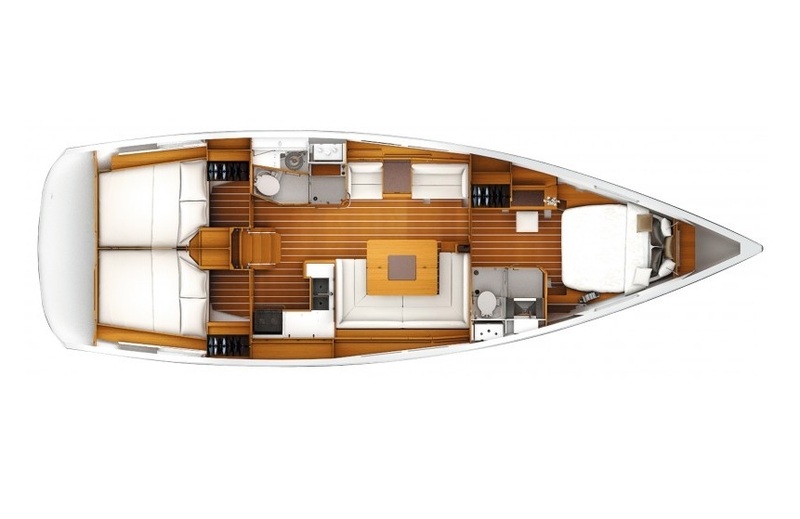 Extra berth in Saloon and a chart table to port at the bottom of the companionway with control panel, GPS, DSC VHF radio, EPIRB and CD/radio player. 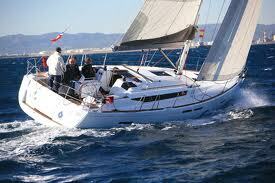 On deck the 439 has twin helms and Slab reefing mainsail with lazy jacks & roller genoa.